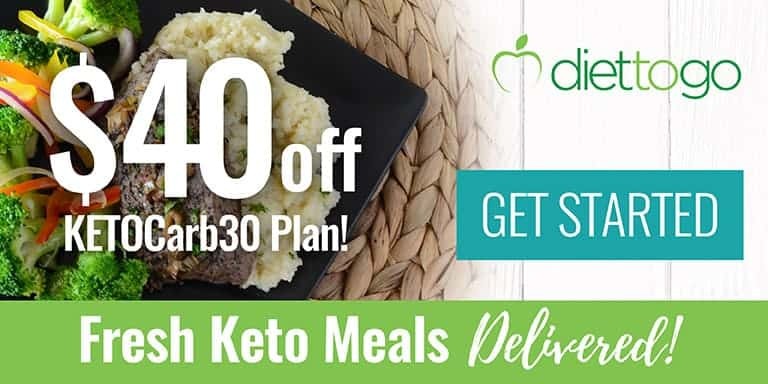 Need a little more fat on your low carb high fat keto diet? 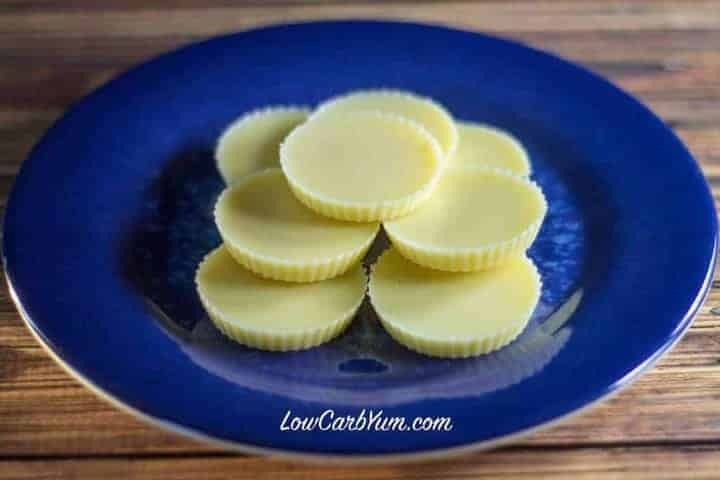 Try this white chocolate keto fat bombs recipe. 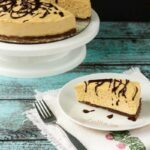 It’s quick and easy to make with 3 ingredients. Doing a five day Egg Fast last week made me realize how much I have been overeating because I wasn’t getting adequate amounts of fat to keep me full. I was really surprised that I could get through the day eating like half of what I usually eat in a day. My lunch bag was so light during my Egg Fast days because I only had hard boiled eggs, some egg salad, a little butter, and a cheese snack. That was plenty to get me through a nine hour work day. Hard boiled eggs are a favorite snack that I often eat at work. As I learned more about the egg fast and the keto diet in general, I realized I should be eating my eggs with added fat. In the past, I would just eat them plain thinking the fat and protein in the egg would fill me up. After experimenting with egg fasting, I know that I should be eating my egg snacks with healthy fat. 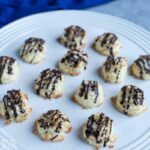 Now I eat each hard boiled egg with a high fat treat like one from this white chocolate keto fat bomb recipe. 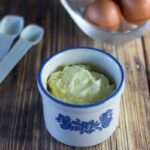 It gives the perfect ratio of 1 egg to 1 tablespoon healthy fat. 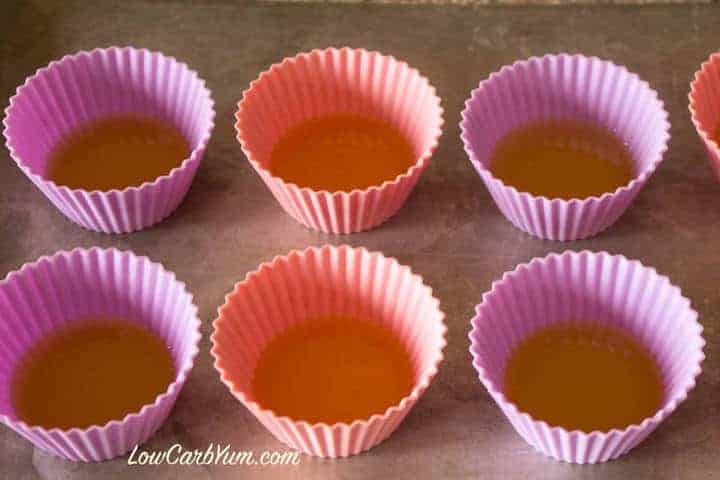 That’s why I used silicone cupcake bake cups instead of smaller candy molds for these fat bombs. 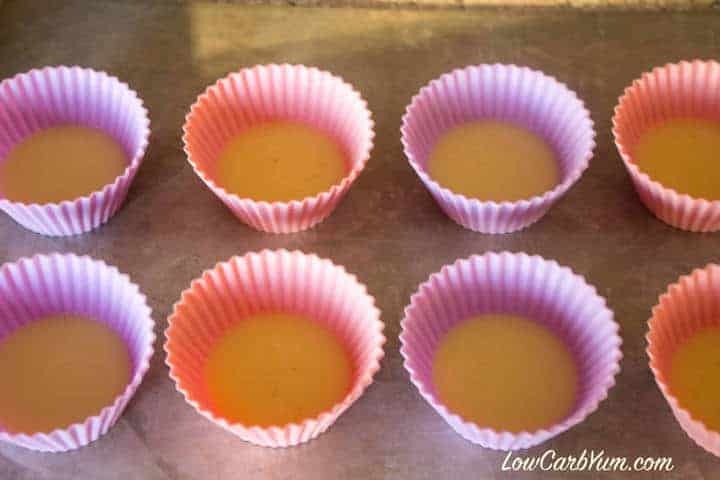 I was able to divide the melted fat so that each mold had about 1 tablespoon of fat which is the perfect amount to eat with one egg during an Egg Fast. This makes it super easy to get the right amount of fat with each egg. I recently discovered how much better a low carb diet works when high amounts of fat are incorporated into the food. Like most people, I grew up thinking more fat was bad, but it turns out the opposite is true when you eat a low carb diet. Since carbs aren’t readily available for the body to use as fuel, the body needs to get energy from either protein or fat. 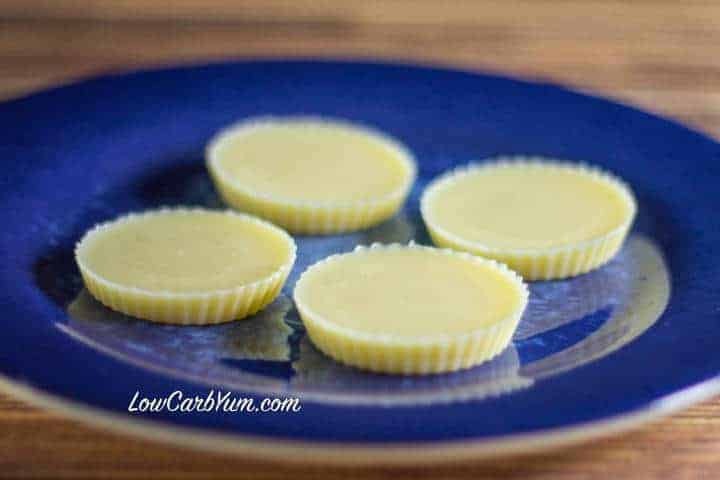 This white chocolate keto fat bombs recipe will become a favorite way consume fat! Fatty acids from dietary fat and body fat can be used directly by cells as a source of energy on a low carb diet. Dietary fat also produces ketones which are another source of energy for the body. On a low carb diet, ketones are an important replacement for glucose. Reducing carbs will trigger the conversion of body fat into ketones so they can be used as a source of cellular energy. A low carb high fat diet has also been shown effective in cancer treatment because cancer cells thrive off glucose, not fatty acids or ketones. They say a ketogenic diet is a great way to prevent cancer. One reason is because the lack of glucose will starve cancer cells and keep them from growing and spreading to healthy cells. 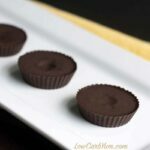 And, you can enjoy a delicious keto fat bombs on this way of eating. You may be wondering why protein shouldn’t be used as the major source of energy on a low carb diet. This is something that took me a while to recognize. 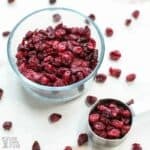 Protein is actually the least desirable source of energy because the conversion puts stress on the body, particularly in the liver and kidneys. Too much protein in a short period of time can also lead to ammonia buildup in the blood. So how do some humans and animals thrive on high meat diets? The traditional carnivorous diet is made up of fatty meats, not lean ones, typically with about 80% of calories from fat and the remaining 20% from protein. A diet consisting primarily of lean meats could not be sustainable and would lead to sickness and probably death as it would be using the least desirable source of energy which puts a lot of stress on the body. If excess fuel for the body is stored as fat, it makes sense that fat is the more desirable source of cellular energy and not protein. Otherwise, the body would store excess protein and not fat! Check out this article to learn more about why excess protein is not desirable on a keto diet. 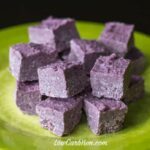 It took some time and research for me to fully understand why I needed to increase my fat intake on the low carb way of eating. 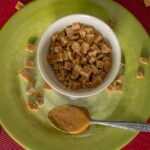 Sometimes it’s difficult for me to get adequate dietary fat in my diet as a lot of my favorite snacks aren’t very high in fat. 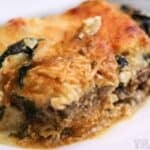 To get more fat in my diet, I’ve started to make fat bomb recipes which are very popular for those on low carb keto diets. 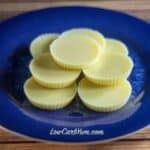 I love simple recipes and this three ingredient recipe for white chocolate high fat keto treats couldn’t be easier. 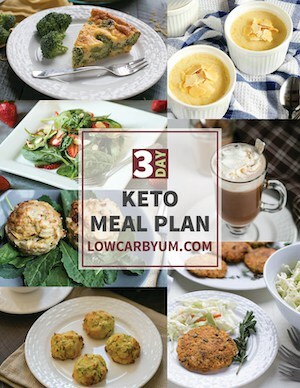 Need a little more fat on your low carb high fat keto diet? 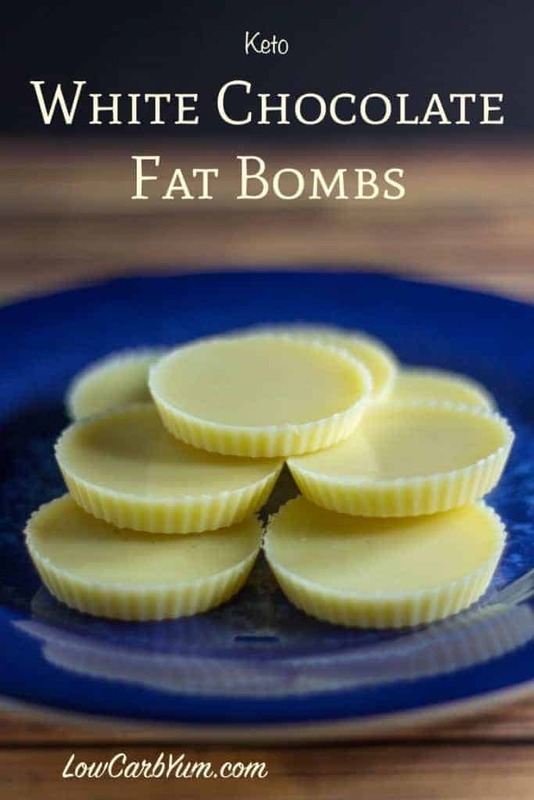 Try this white chocolate fat bomb recipe. 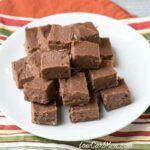 It's quick and easy to make with 3 basic ingredients. 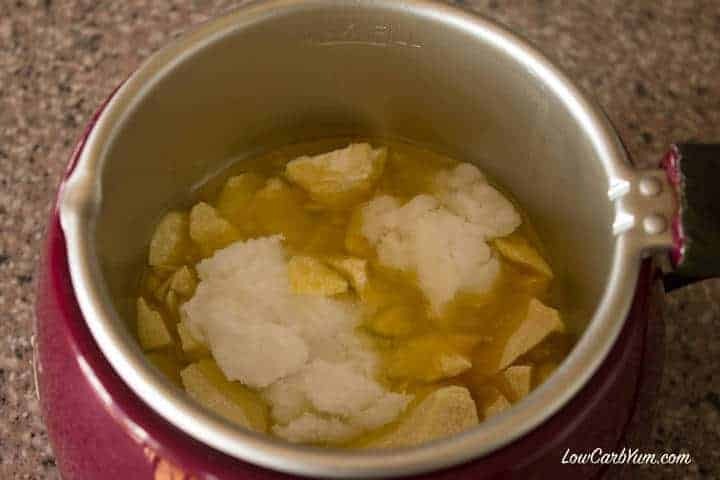 Melt together cocoa butter and coconut oil over low heat or in double boiler. 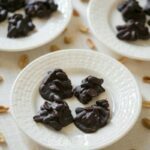 Remove from molds and keep stored in the refrigerator. Vanilla extract is a bit difficult to work in. I've found a powdered vanilla works a little better as does the powdered stevia extract.